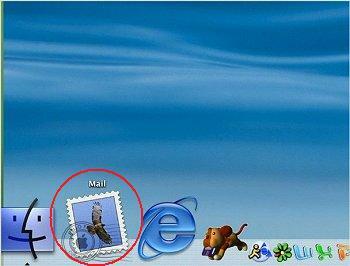 To open the Mac OS X Mail program, click the postage stamp icon in the lower left-hand corner of the screen. 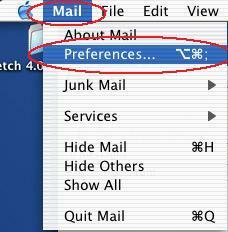 Now click the "Mail" option at the top and then click on "Preferences". First, let's look at the "Account Information" tab. The "Account Type" should be "POP." "Description" should be "Mercury Network". "Email Address" should be Your Email Address. "Full Name" should be Your Name. 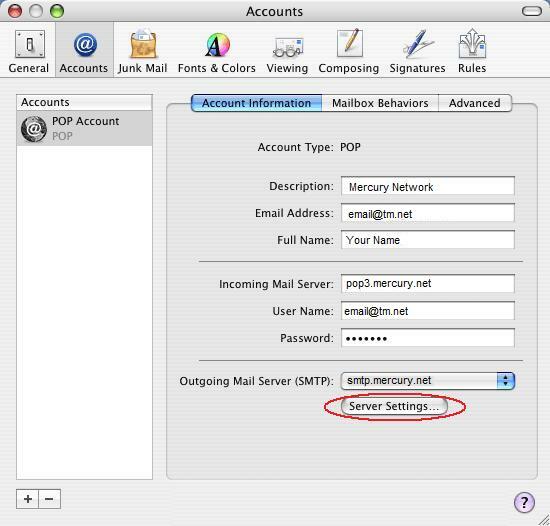 "Incoming Mail Server" should be "mail.mercury.net"
"User Name" should be Your Email Address. "Password" should be Your Email Address Password. 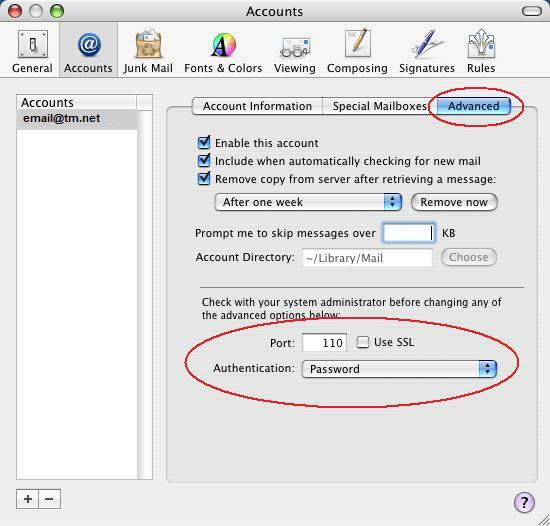 You can edit the Outgoing Mail Server by pressing the "Server Settings" button. 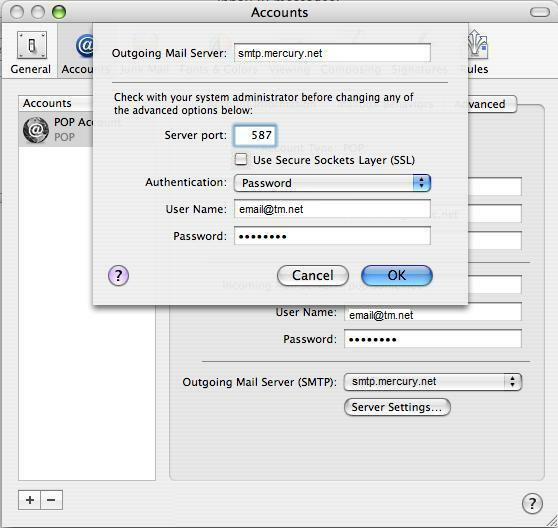 Make sure the Outgoing Mail Server is "mail.mercury.net". Make sure that "Server port:" is listed as "587". Make sure "Authentication:" is set for "Password". You also will need to enter Your Email Address in the "User Name: field. Now you also will need to enter Your Password in the "Password:" field. Click the "Advanced" tab, make sure "Port:" is set to "110". Also verify that "Authentication" is set to "Password". To finish, you can close the Accounts window, you should be all set!